For decades, videogames based on comics licenses have struggled with the perception of being low-quality licensed cash-ins. But over the past six or seven years that perception has begun to shift, helped in large part to the explosive critical and commercial success of the Batman Arkham series developed by Rocksteady and published by Warner Bros. Interactive Entertainment. What’s the secret to DC and WBIE’s success where so many others have struggled? 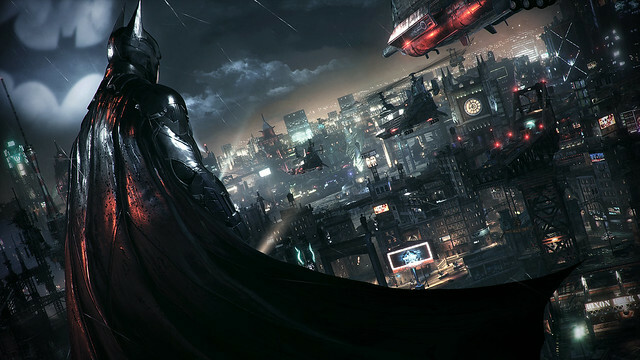 With Batman Day looming large, I contacted Ames Kirshen, vice president of product development for the Arkham and DC Comics games at Warner Bros. Interactive Entertainment to learn more about the company’s approach. Important points. Rocksteady, NetherRealm and TT Games have each been granted rare creative freedom from an industry noted for its exacting creative controls. 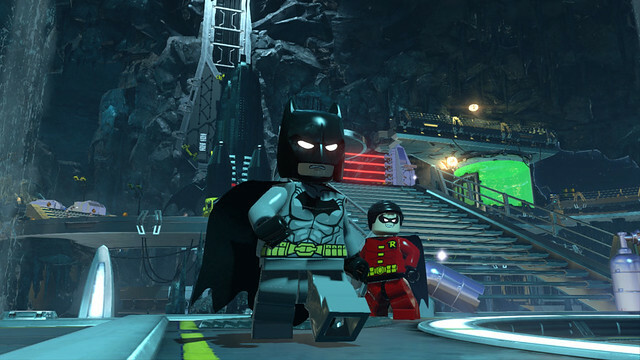 Arkham, Injustice: Gods Among Us, and the LEGO Batman games have never felt like awkward extensions of a movie or comic book marketing campaign, but rather fully fleshed-out original universes that look and feel comfortable in their own videogame skins. nice article but has sony removed support for spotify on the ps3? mine cant even launch because it says that it needs to be connected to psn when in fact i’m logged in already?? How? Simple. Making a good and enjoyable videogame. Bravo. They also need to cool the heck down with their DLC practices. No one is going to buy a DLC season pass from Warner Bros again, that’s for certain. Konami and Sunsoft says hello. There have definitely been some great comic book games over the years – my personal favorites were Batman on NES, Punisher and AVP in the arcade, plus Capcom’s Marvel games. Arkham Knight was the worst in the series. Terrible DLC practice. Worst story in the series, and also the most unoriginal. They pretty much lied before the release about the identity of the titular character. And maybe the worst flaw in the series was the introduction of the Bat mobile which not only breaks so much Batman logic that the game ceases to be about this character. The Batmobile destroys the city, runs people over and shoots things and no one dies? I could go on and on. I don’t know how people were blinded on this game. rant over. All of Arkham City and Origins boss fights were good doe. Especially considering that Ames Kirshen is quoted as saying “You have to understand and respect the core essence of the franchise”. He only shoots people with rubber bullets and uses a repulser to push people away before running them over. But I’m not as nitpicky about everything since there have been several versions of Batman over the years (even used guns in his early years). However I do agree that the forced use of the Batmobile really ruined the game. agree completely, I platinumed the AA and AC but stopped playing AK about halfway through, batmobile was not doing it for me at all and the game felt like work. I wrote off the Arkham games because I thought it was gonna be like every other superhero game on the market. I was wrong. I give Rocksteady so much credit for making me a believer. They treated this universe as if it’s their run of Batman. I’m happy to be a fan. The ONLY good games from any DC license are the BATMAN ones. And that’s because it’s one of the few (maybe the only one?) GREAT DC characters of all time. And Rocksteady didn’t conquered anything either. Back in the golden days of the SNES the Batman games were awesome too. If anything, they managed to “port” Batman to a new generation with huge success. Don’t get me wrong, that’s a big achievement…but hardly the same as saying that they are “the holy grail” when it comes to Comic-related gaming. So the title should be something like… “Rise of the Batman: How Batman games are STILL so much fun and bullet proof for DC, WB and/or anyone holding its license”. Heheh. Back in the day, I was a big fan of The Adventures of Batman and Robin on Genesis. Tough as nails! Was this a paid promotional post? Just wondering. no unbiased article would dare to leave out the abomination that is arkham knight’s pc release so yeah, this was paid for as they left out that sheer mess. more proof is in the articles title, “Rise of the Batman: How DC Comics Conquered Games” what a joke, they could not sound more bias even if they tried. Nope, we wouldn’t do that – certainly not without being upfront about it. It was more of a moment to check in on what’s helped propel DC to the top of the quality bar in games, using Batman Day (yes, it’s an actual thing) as the point of relevance. Why would Playstation Blog comment on a bad port of a game on another platform? The PS4 version plays well, and that’s all people on this website care about. Sid, I really enjoyed this article. This was different than most PS Blog posts and I enjoyed the change. As a Batman fan, I have loved the increase in quality and variety within the world of comic book games in the last decade and I hope for more (Injustice 2 & Rocksteady Justice League, thanks WB!). I hope to see more articles written in this style from time to time. Which DC Comics game do you hope for next? Glad you liked it, thanks for the nice words. I’d kill for a good Sandman game, or maybe one based on Constantine. Splitting Story DLC among retailers is the worst form of fan disservice and little more than outright robbery. Skins are one matter but story DLC? Do not tell me it will be available later. I am not going to go back and play just that part or replay the entire game in order to experience the material in an integrated fashion that should have existed from the beginning. I do not mind DLC. Not in the least. But when they make it impossible for me to experience ALL of the story elements without buying 2 or more copies of the games then developers and publishers alike should be ashamed. They wouldn’t even allow gamers to buy the DLC that came from various retailers. Beat your face Warner/DC. Well done Sid. There is no disputing that Batman is the premier licensed title in video games, and WB deserves this recognition for handling the property with care. Hopefully that Justice League game we all want is right around the corner, am I right? Am I right? Yeah, I’m right. you come on the PS board to whine about the PC version??? are you just dumb or is it deeper than that? get you PC master race self back where you belong, no one here cares. Hold on. Only two of the five batman games are universally regarded as great games, and that’s Asylum and City. Origins was panned, blackgate had major flaws, and nobody really likes the batmobile in Knight. Plus, the absolute bull shirt season pass for Knight and just the DLC in general has made many enemies for Warner Brothers. I didn’t buy Knight specifically because of the pass. I still don’t see where everybody is getting that the Arkham series were original or the first superhero video game to get it right. When Spiderman 2 on the PS2 had the counter system and open world missions down packed. Hulk Ultimate Destruction also a PS2 game had the active open world enemies that was even better than Spiderman 2. 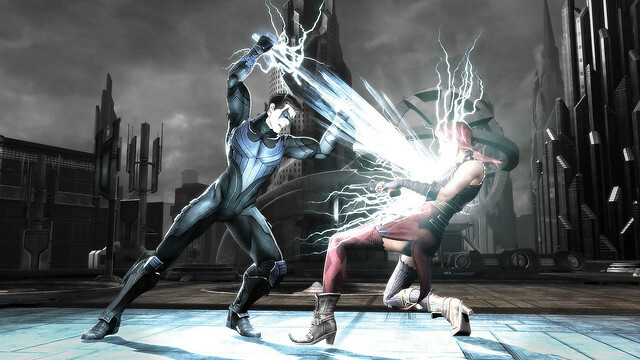 And X-men Origins Wolverine’s Revenge had the visceral combat before Arkham came out on the PS3. Put the best part of those games and you have the Arkham series. I know it was Batman Day just recently, but to say that there were no great superhero games before Arkham is insanity, when it were just no good DC hero games. Just saying, brush up on the history of superhero games, and let Rocksteady show us what they have next before crowning them king of superhero games. Because they next title could be the next Superman 64 or Superman Returns game, yikes. And fyi, Batman Begins laid the groundwork for the Arkham series especially with the fear tactics. you let the same trolls pepper the boards with “no VITA?’ every week and you moderate me with a legit negative review of a bad game? are you serious????? unsubscribe from blogcast, keep shilling for Taco Bell you jaded tard, I am out. 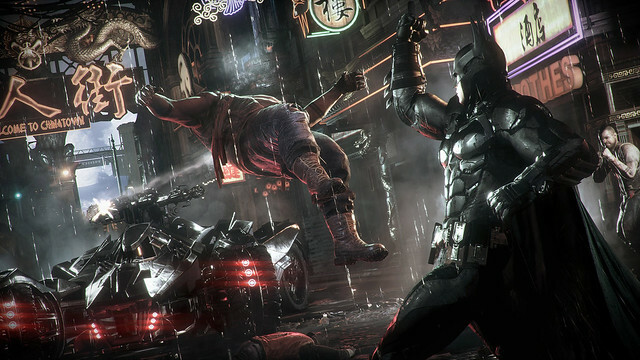 I’m a huge Batman fan, and all I can say is Rocksteady has developed one of if not the most favorite game series of mine.